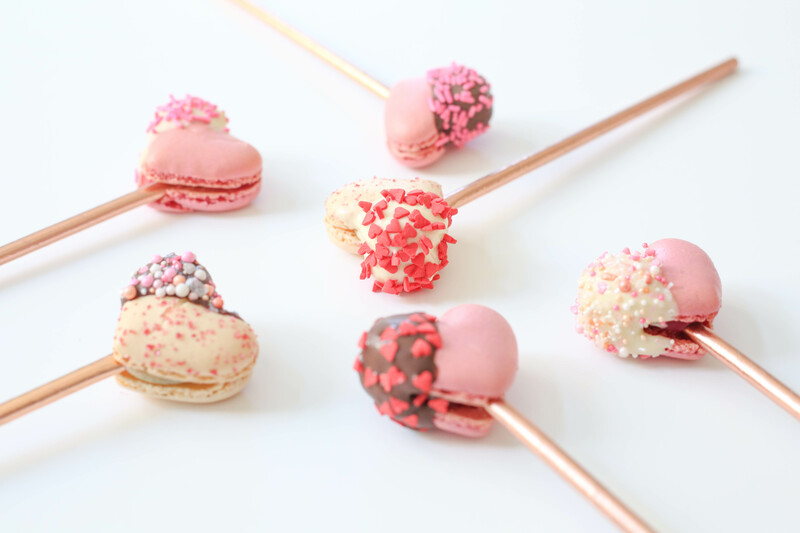 When Valentine’s Day rolls around, I like to keep an eye out for fun themed treats, and this year, Costco Heart Shaped Macarons are the darling of my Valentine’s Day treat list. 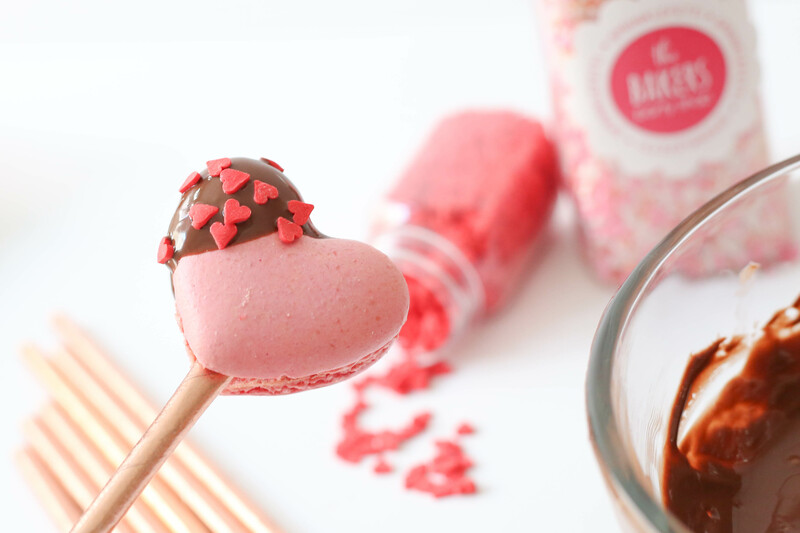 I teamed up with Baker’s Party Shop to dress these darling heart shaped macarons up just a little more, because… more is more! 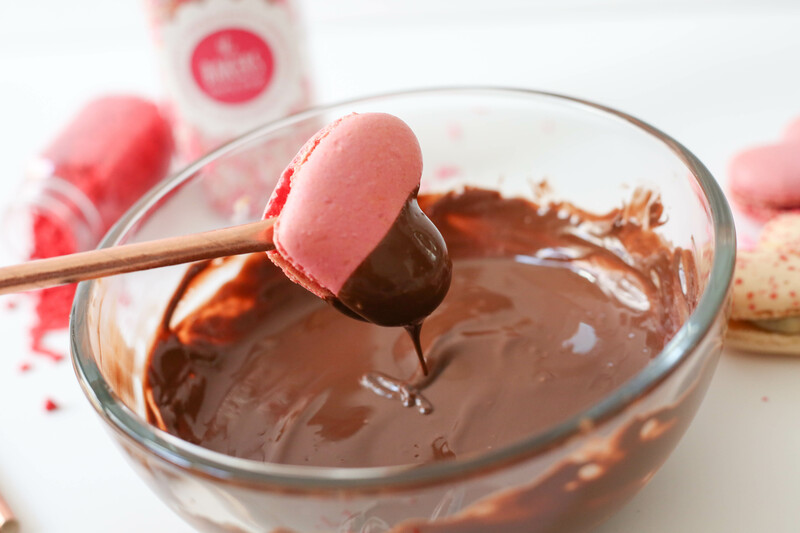 Melt the chocolate in glass bowls, taking care not to scorch it if you use the microwave. 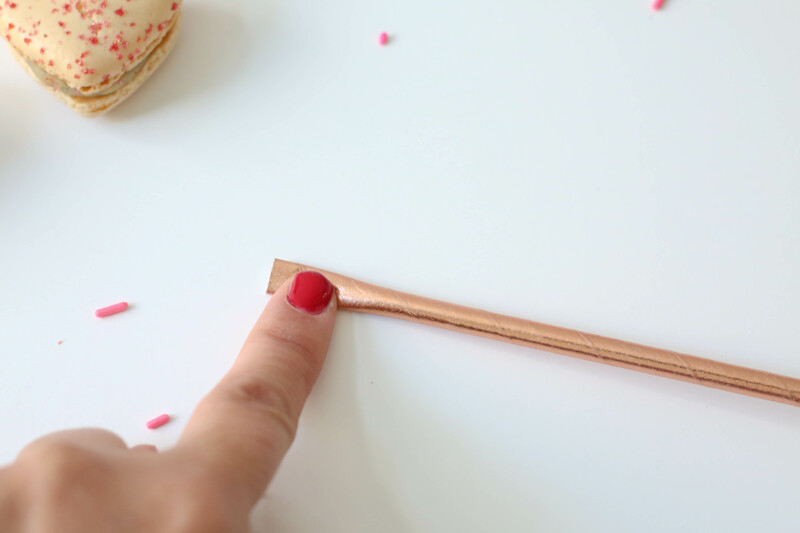 Press down on one end of the paper straw to flatten it, as shown. Insert the paper straw into the bottom of the cookie. 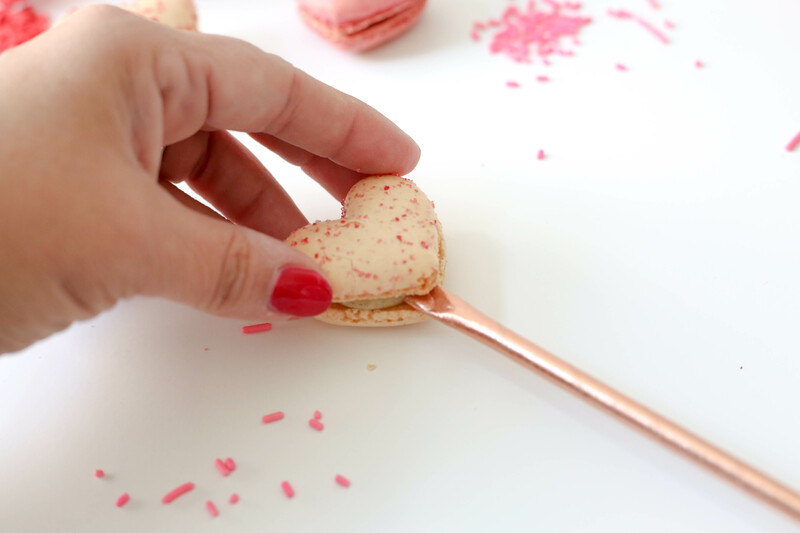 Be gentle, as macarons are delicate and can crack easily. 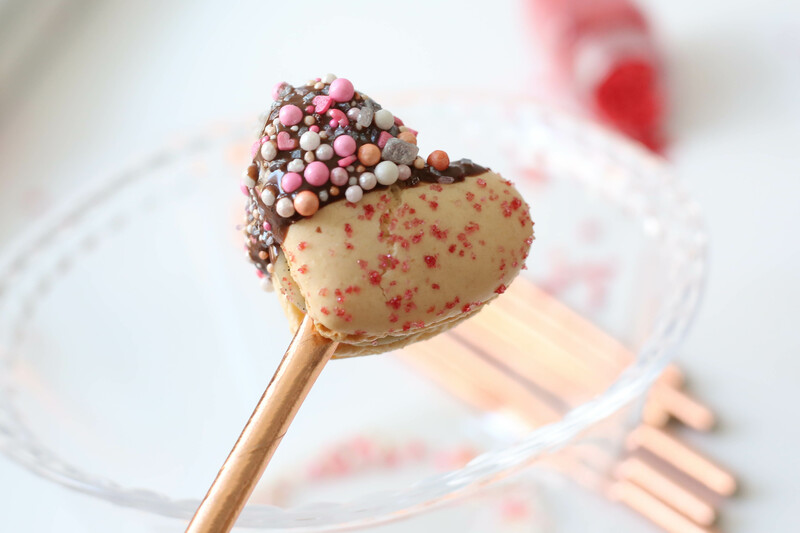 Dip the corner of the heart into the melted chocolate, and allow the excess to drip off. 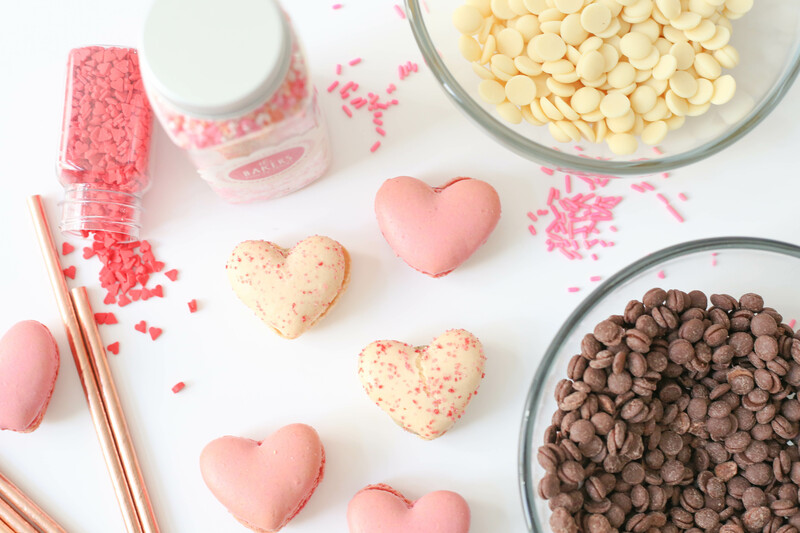 Over a bowl, scatter beautiful sprinkles onto the chocolate. 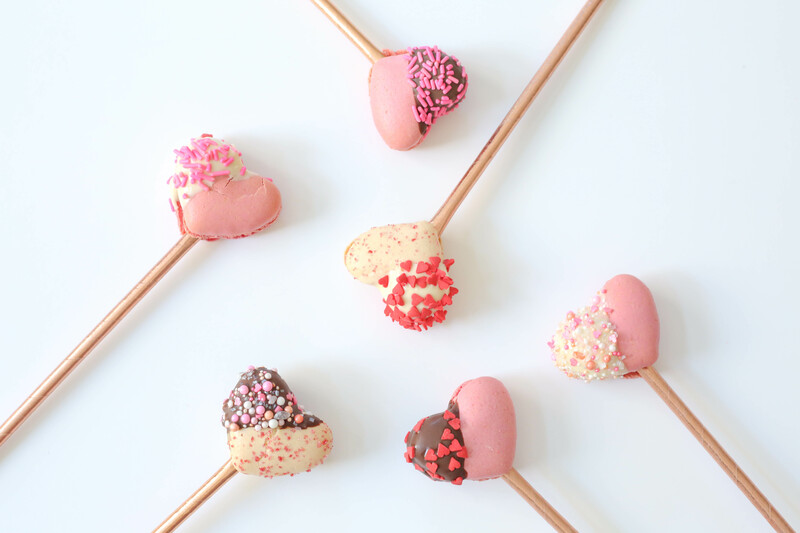 Load them up to your heart’s content; they just make the cookies taste more delicious. 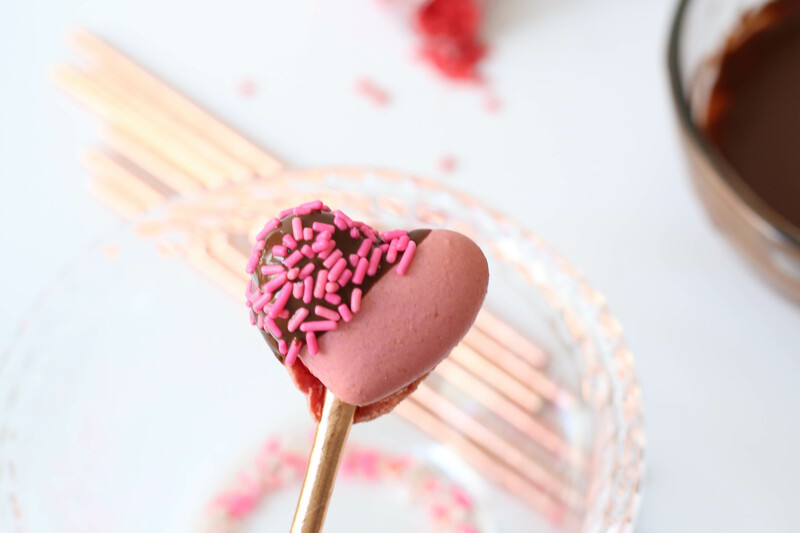 These are a quick and easy treat for a Galentine’s Day party, a cute and tasty gift for teachers, valentine gifting, or just for enjoying as you sit back and receive the love and admiration that are due you this Valentine’s Day.